A complete offering of cremation services at our Lancaster, PA location gives family and friends the ability to say goodbye when traditional burial is not chosen. Cremation is most often done in conjunction with other funeral services. When it comes to the personal choice of cremation, some elect to have their remains buried in a cemetery while others choose to be scattered in a special place in nature that carries special significance to the departed. Still others are kept in the home of a family member or loved one. Because our crematory is located in our our Lititz Pike funeral home, your loved one never leaves our care. If a loved one’s wishes regarding cremation are not clearly defined at the time of death, our licensed funeral directors will assist families in exploring the best option for them. Whatever the desire, the Charles F. Snyder Funeral Home provides cremation services in its Lancaster, PA crematory. As a result, we assure families that their loved ones never leave our care, even during the cremation process. In fact, family members may be present to witness the process if they so choose. Even when cremation is chosen, families often elect to have funeral services held so that family and friends can come together and say goodbye to their loved one. A visitation (viewing) and/or funeral service can take place prior to cremation just as it would when planning a traditional burial funeral. The funeral ceremony can take place at one of our three Lancaster County funeral homes, or at the family’s place of worship. Burial of the cremated remains, if desired, must take place at a later date, after the cremation process is completed. This committal service may be public or private depending on family preferences. This choice includes cremation taking place prior to the service. After cremation has occurred, friends and family can gather at a visitation and memorial service designed specifically for their needs. Then a reception, a scattering of ashes or an interment ceremony at a cemetery can be held. Regardless, your Charles F. Snyder funeral director will coordinate the necessary details for the family of the deceased. Immediate cremation includes no ceremonies or rites. It may take place only after obtaining a signed death certificate from the attending physician along with a signed authorization from the next of kin, or authorized agent of the deceased. In the State of Pennsylvania there is a twenty-four hour waiting period after the time of death before cremation can be performed since cremation is irreversible. Charles F. Snyder funeral home directors will take care of the required paperwork and handle all of the arrangements with the appropriate agencies, including coordinating veteran benefits. Families can elect to have the fingerprint of the deceased imprinted on a “Thumbie” keepsake charm. Different people choose to do different things with the cremated remains of a deceased family member or friend. Options include burial in a family plot, scattering of the ashes, placement in an urn to be kept at home, or placed in a columbarium niche (a place designated for the inurnment of the ashes of the dead) or other location. Charles F. Snyder funeral directors can assist families in exploring the best option for them, and will coordinate the details. Should families choose to keep some or all of the ashes as a keepsake, there are many options of urns and receptacles to choose from. Our selection room allows families to get together and explore ways to personalize cremation services and choose appropriate receptacles for their loved one. Keepsakes for remains and memorial jewelry (like Thumbies) are also available in many options. The Funeral Ark is a special way to allow family and friends to participate in funeral ceremonies that involve cremation. The cremation urn is on display in the ark, and pallbearers can carry it in a formal procession in and out of our chapels, a place of worship, at a memorial service or to a cemetery for a committal service. 1. Our modern on-site-crematory ensures that your loved one never leaves our care. 2. Our modern on-site-crematory is located within the walls of the funeral home. 3. We strictly do not hire 3rd party crematory to conduct our client family’s cremations. 4. We have a comfort room for final good-byes in a homelike setting. 5. Many families choose to use our ceremonial casket for public visitation, viewings and services. 6. Our witness chapel allows your family to observe the beginning of the cremation process for peace of mind. 7. Our crematory chapel provides a comforting atmosphere giving your family the option to participate for a final tribute send off. 8. Each cremation is handled with care by our experienced and certified crematory operator and managed by a licensed funeral director. 9. 100% of your loved ones recoverable cremated remains are returned. 10. Each cremation is handled individually and privately. 11. Our team of staff is available 24 hours a day and 7 days a week. 12. You’re invited to visit and tour our facility at any time. Stop in or call for a visit or tour guide. 13. We provide countless options and flexibility when planning a cremation service. 14. Our private crematory is exclusively reserved for the client families served by Charles F. Snyder Funeral Homes. 15. Our service chapel is conveniently located and used for Celebration of Life, Gatherings, Visitations, Viewings, Funerals and Memorial Services. 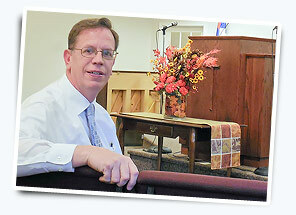 Offering Lancaster, PA funeral services for over 70 years. Our four funeral homes in Lancaster County makes it easy and convenient to make arrangements and host services close to home.